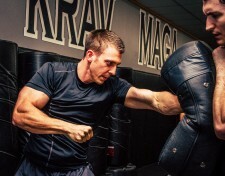 FAYETTEVILLE, Ark., February 8, 2019	(Newswire.com) - After five years of training and teaching on a variety of Greatmats martial arts mats, Fayetteville Krav Maga Owner Cole Saugey has put the mats to the test for Krav Maga use and has found them to pass with flying colors. "We have been beyond satisfied with our flooring as we are quite rough and the materials continue to hold," Saugey says. In 2013, professor Marty Cale installed Greatmats 20 mm Martial Arts Mats with a thatch surface texture at the school, which went by the name Arkansas Martial Arts at the time. "There was time when our school offered Karate and Jiu-Jitsu in addition to Krav Maga before we fully transitioned into a Krav Maga self defense studio," Saugey said, noting that he had instructed under Professor Cale for six years prior to purchasing the studio from his mentor in July of 2018. "Professor Cale had owned/operated the school for 31 years, and it is the longest running self defense school in Fayetteville, Arkansas. (He) trusted/recommended (Greatmats) over everyone else for our training floor needs." Saugey began his Krav Maga training 9 years ago under the instructor of Professor Cale and Chris Tucker and has now reached the rank of Expert Level 2 within the Krav Maga Association and has trained officers all over the U.S. in the fast, aggressive and brutal Israeli-born combat system as a certified Defensive Tactics Instructor for Law Enforcement. "Our instructors have trained directly with IDF Krav Maga and Counter Terrorism instructors from Israel," Saugey says. Having done much of his training on those Greatmats 20 mm puzzle mats, Saugey found them to be "exceptional." 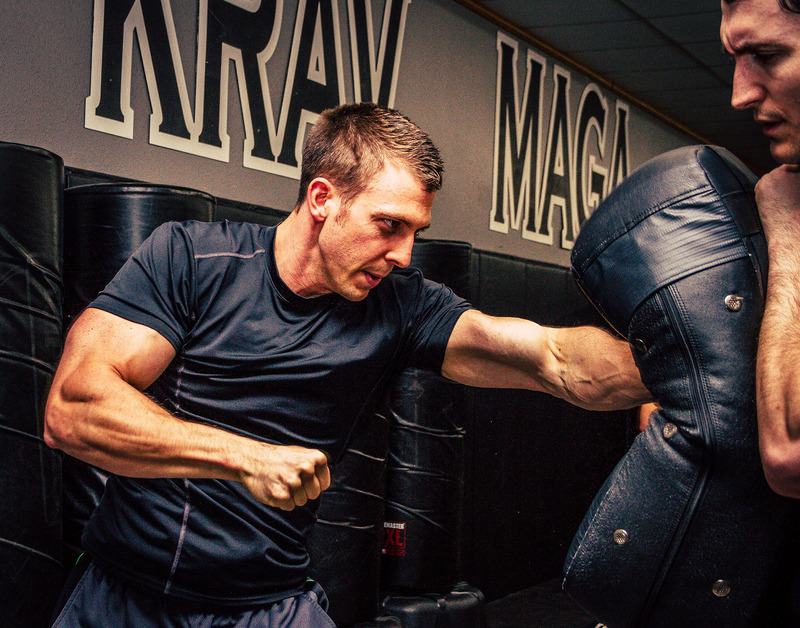 "Krav Maga pulls techniques from various martial arts and is a well rounded system," Saugey said. "In addition to strikes, we practice takedowns, ground fighting and everything in between. These mats were great as they provided enough protection for impact takedowns and were sturdy enough when we were on our feet wearing shoes. The material also prevented any burns on our knees or elbows which was great." After two years of using the mats, Professor Cale upgraded the thickness of the mats to Greatmats 1 inch thick premium Martial Arts Mats with a leather surface texture. "These were very similar to the previous mats, and we enjoyed them all the same," Saugey said, noting that there was very little between how the 1 inch match functioned for their purposes in comparison to the original thinner mats, which were closer to 7/8 inch. "I prefer flooring that provides enough impact protection while giving me that solid ground feel like the street," Saugey says. By 2017, Professor Cale tested an even thicker flooring 1 foot 3/8 inch thick carpet topped mats. "The carpet mats look great and feel great when we're on our feet with shoes," Saugey said. "They do tend to leave carpet burns on the knees and elbows when we work on ground fighting though. They have served us well." "The thinner puzzle mats have been my favorite over the years, and we will likely be transitioning back to those within the next year or so,'' Saugey said. ''The combination of impact protection, lack of carpet burns and thin feel make them the closest to a street fighting surface while providing the protection we need."